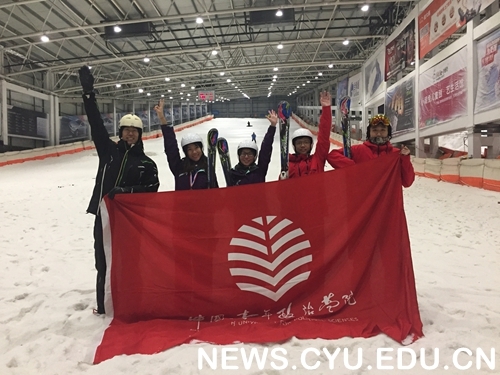 On October 30, 2016, the Fourth Skiing Chase for Beijing University Students was held, in which 83 student athletes from 23 colleges and universities participated. 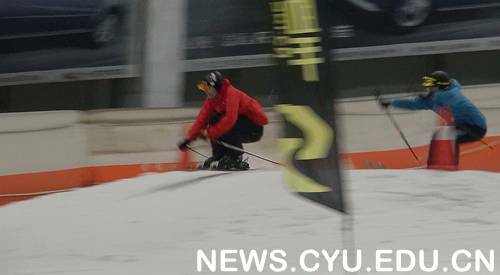 CYUPS alpine skiing team won the silver prize in the group event and Fang Jianwei, a student of class 2013 from the Department of Public Administration won the first prize in the category of Men’s Double Plate Skiing. Besides, other student athletes of CYUPS also received good results in the race, with Deng Zhiming finishing fourth in Men’s Double Plate Event, Zhang Shiqi coming third and Zhao Bingshu ranking eighth in Women’s Double Plate Event.